Part of the expansive Joshinetsu Kogen National Park, Shiga Kogen is a mountainous region of stunning beauty and ecological importance. 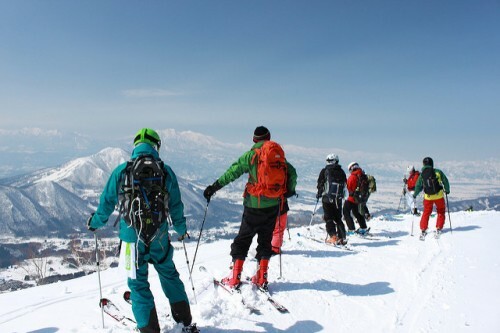 In winter, the mountains are inundated by heavy snowfall – more than 12 meters per year – turning the landscape powder white and beckoning visitors to Japan (and Asia’s) largest area of interconnected snow fields – 19 ski areas serviced by 52 chairlifts and gondolas. Known for some of the best powder snow in Japan, Shiga Kogen is a true winter paradise – the proud host venue of several events during the 1998 Winter Olympics. 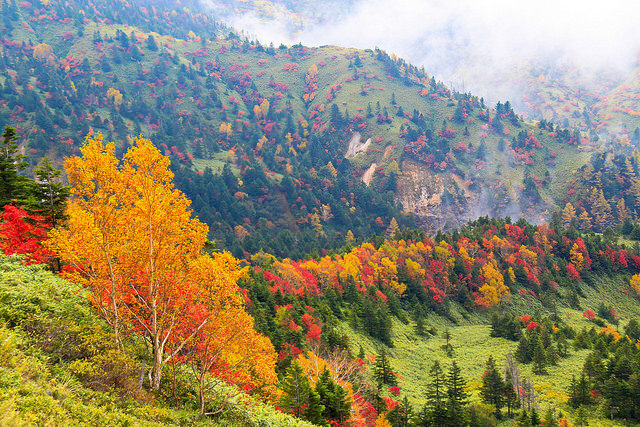 Outside of winter Shiga Kogen is a mecca for nature lovers, photographers, hikers, and other summer sports ethusiasts. 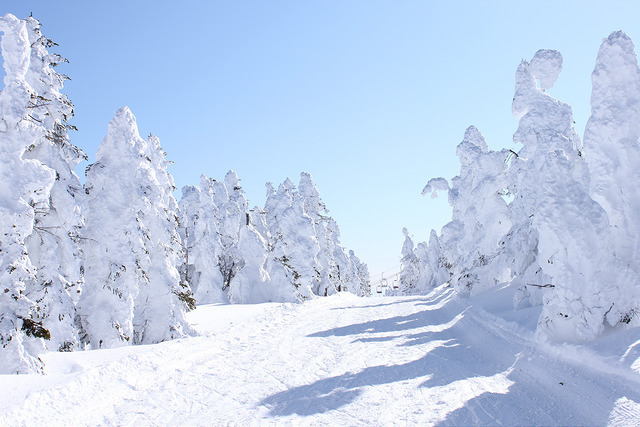 Declared a UNESCO ‘Biosphere Conservation Area’ in recognition of its ecological importance and diversity of flora and fauna, Shiga Kogen tempts visitors with as many reasons to visit outside of winter as it does in the months of powder white for which it is best known. 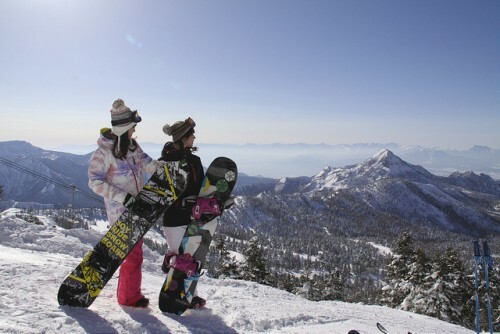 NAGANO SKI RESORTS INFO – WHICH ARE THE HIGHEST SKI RESORTS IN JAPAN? SHIGA KOGEN’S CENTRAL AREA: A RESORT WITHIN A RESORT! 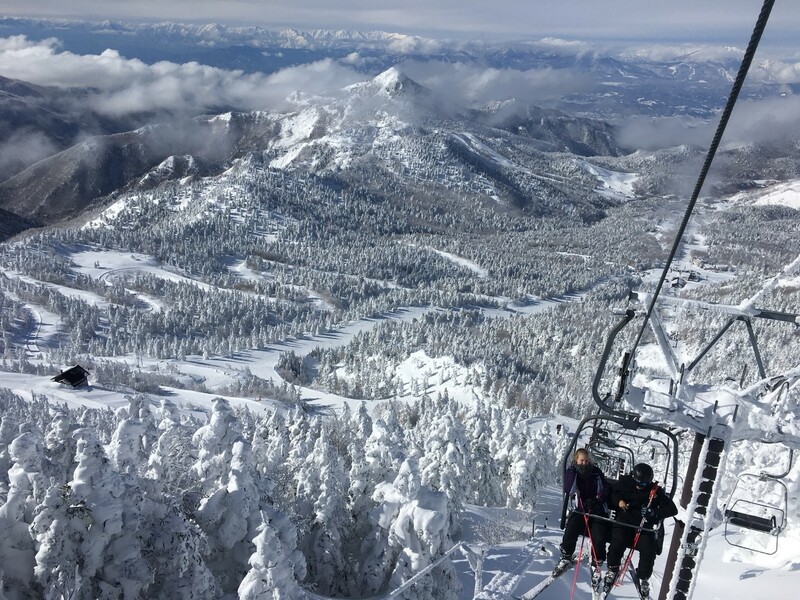 SHIGA KOGEN: BIGGER, HIGHER, BETTER! SHIGA KOGEN: THE BEST POWDER IN NAGANO!